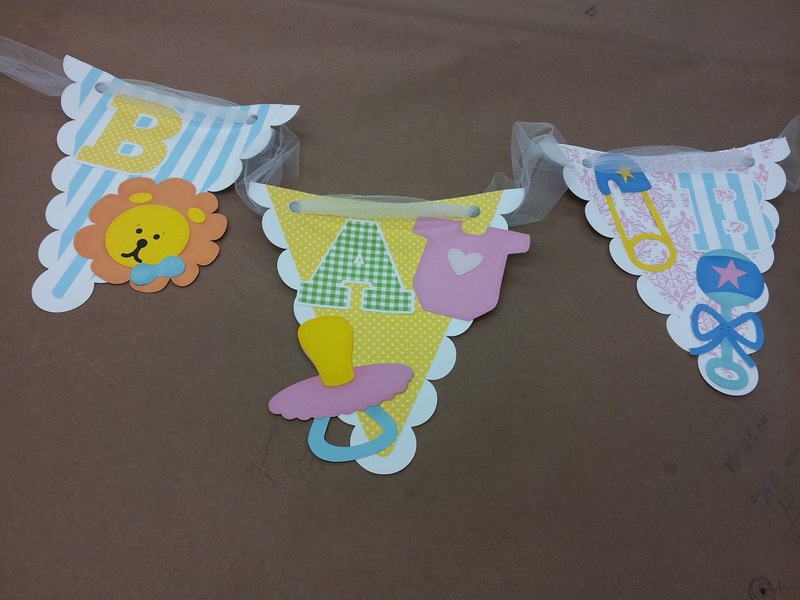 This is part of a Baby Shower banner I made with my trusty Cricut. I use Creative Memories Stork's Delivery Cricut cart, Birthday Bash from PC paper from Michaels. Everyone loved this banner!